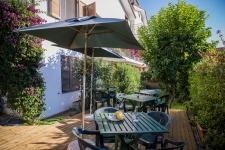 B&B Sunrise is 20 minutes far away from Lucca,Pisa, Marina di Vecchiano with free beaches, Torre del lago and Viareggio. Relaxing, on the hill of Quiesa in a residential area close Massarosa town. 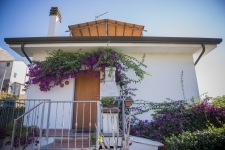 Location strategic only 20 min far away from Lucca,Pisa, Torre del lago, Viareggio. Only 5 min far away from Massaciuccoli Lake in the National Park of Migliarino-S.Rossore-Massaciuccoli. Cosy bedrooms ensuite bathroom use double or single wit a very rich breakfast, garden, jacuzzi in the garden, parking. Email: info@accommodation-index.com By using accommodation-index.com you are agreeing to our Conditions of Use.